What do you guys think of the new LIKEtoKNOW.it app? I absolutely love it! It’s so easy to shop my friends’ looks and I no longer have to wait for emails #yesssss. Make sure you download it so you can shop my looks and look at yesterday’s post so that you know how to use the app. I promise it’s easy! Need this peplum top in my closet ASAP!! So cute and perfect for spring! 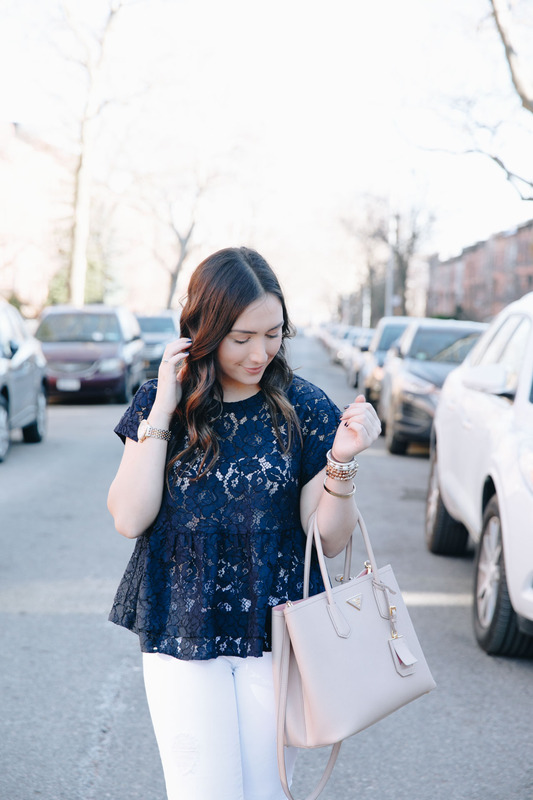 Such a pretty lace top! Love the peplum detail! I adore navy and white together, this top is so cute! Love the lace. This top is so cute! I love the lace! Such a pretty peplum top. Love the lace! Love this look, Lauren! 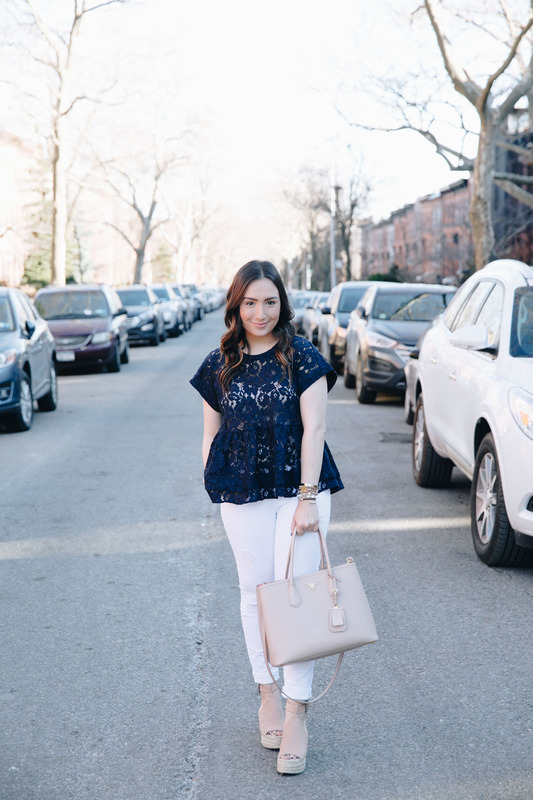 That lace peplum is too cute!! love the lace shirt!! So beautiful! Dang girl you look so good, I love those wedges! 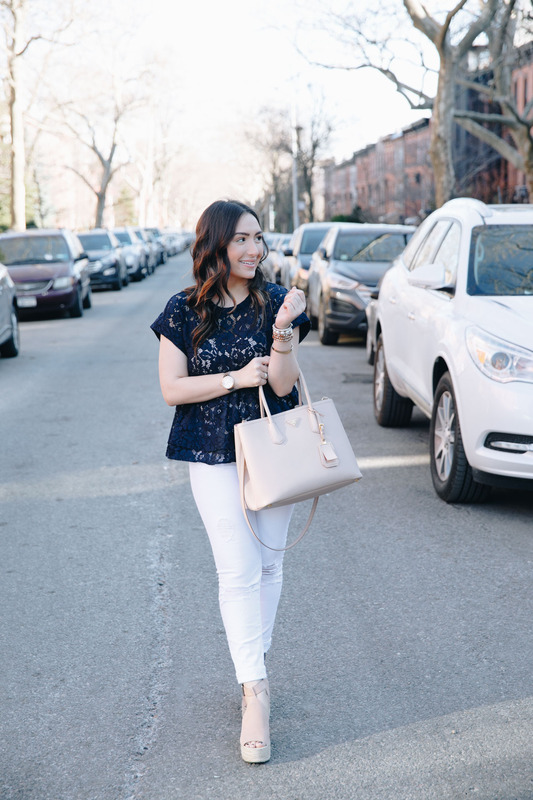 Love the navy top with your white jeans – so perfect for spring! What a pretty top!! Peplum tops are my absolute fave!! SO cute!! What a gorgeous top!! Love the color and the lace detail!! 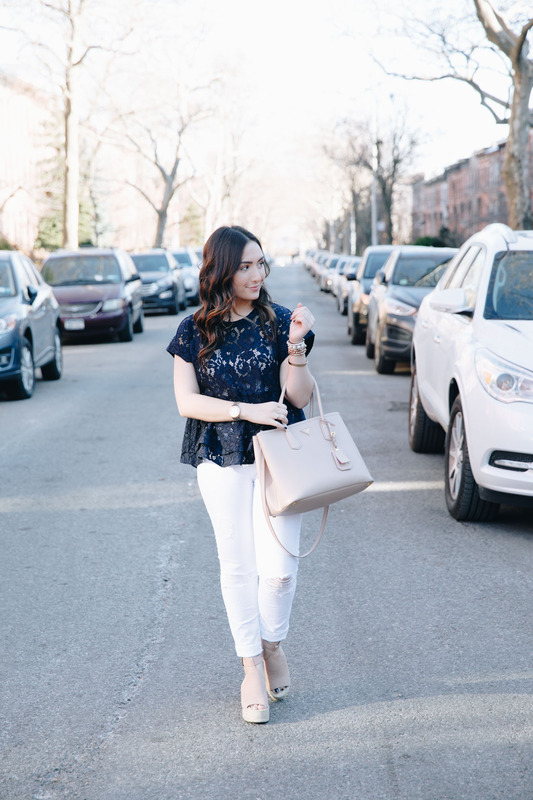 I just love this pretty peplum top! and I NEED those wedges! I wore a similar version so much last year! This top looks gorgeous on you girl. Love the navy! 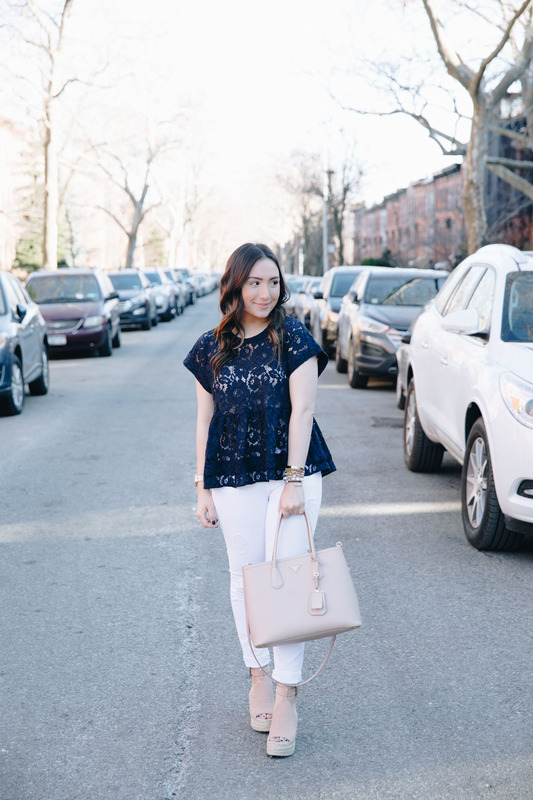 Love the lace peplum top, especially with the white jeans! Love the Prada bag, Can you tell me what the color combo is called on this bag?